One of the workers at Radio Nigeria's Kano Pyramid FM, Malam Bala Abdullahi, said the call was also necessary to reduce the hardship being experienced by workers in the country. "Things are costly, as you know the N18, 000 being paid to workers as minimum wage is nothing to write home about in view of the high cost of living. "So, we hope the Federal Government will ensure quick implementation of the new national minimum wage as it will go a long way in enhancing the living standards of workers," he said. "Traders in the country should have the fear of Allah by not increasing prices of essential commodities and services," he said. 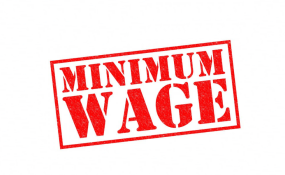 NAN reports that while Federal civil servants have expressed happiness over the passage of the bill, state workers expressed reservations over the readiness of the state government to implement the new national minimum wage.